You know those kind of snacks that are just too indulgent and addictive to put down so you end up consuming the whole bag then feel immediately guilty? Well now you can indulge in snacking on equally as tasty and moreish treats with a side helping of healthy instead of instant regret. 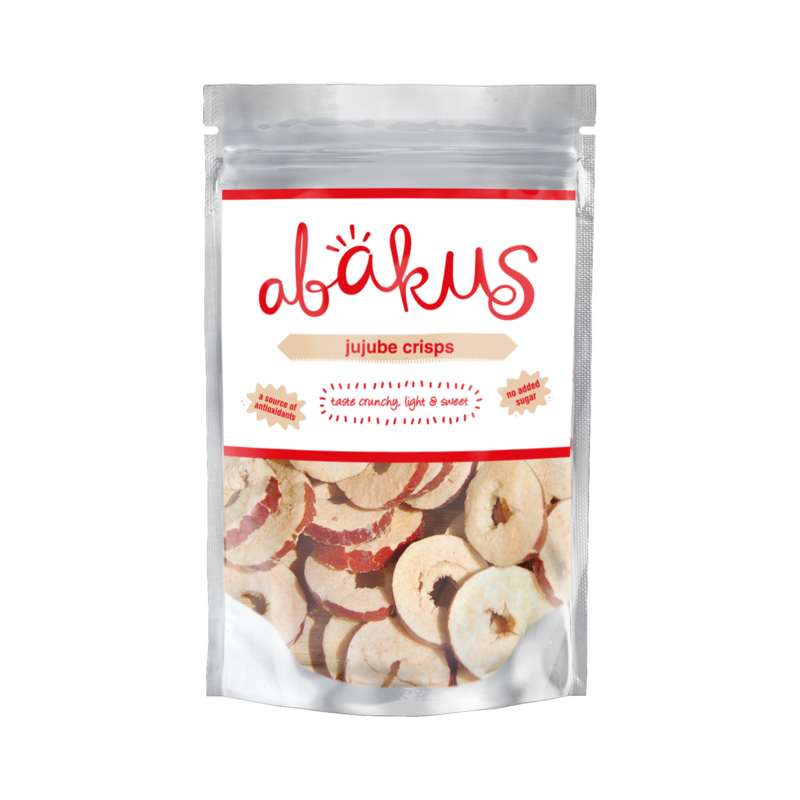 Abakus Foods are a health food company with a difference, striving to bring happiness to everyone by promoting seriously tasty snacks that promote healthy living. Their innovative and original snacks are nutritious as they are delicious. All products are vegan, gluten and dairy free and contain no additives or GMOs. They’re packed with vitamins and minerals including thiamine to help support brain functions including memory and concentration and manganese to help repair tissue and maintain strong bones. High monounsaturated fat content also helps lower cholesterol levels and reduces the risk of heart disease. When we discovered Abakus Foods there was no doubt that their snacks wouldn’t taste as good as they looked in their bright and attractive packaging. Once we got our hands on them, we anticipatingly dug in and they really didn’t disappoint. A series of “mmmm’s”, “ooooh’s” and “can I just have a another one” resounded around the room as we shared bags of flavoursome Dried Jujube Fruits and Oven Baked Hickory Nuts. The Jujube Fruit also known as the Red Date originates from Asia where it has been enjoyed for thousands of years. The Jujube Fruit tree tolerates a wide range of temperatures and rainfall, even surviving cold winters with -15 degrees Celsius. In old China, they were eaten to keep hunger at bay during droughts and bad harvests. This sweet and juicy fruit is high in antioxidants and is well known for its sedative properties, helping to calm the mind naturally and subtly. In Traditional Chinese Medicine, they have been widely used to treat anxiety and insomnia. Even though the fruit was dried it still had a juicy texture, surprisingly sweet and spongy, almost with a hint of caramel. Needless to say the packet didn’t last very long. As well as a healthy go-to snack these are ideal for adding as a natural sweetener to porridge, salads, stir frys and soups, used for baking or added to smoothies. See Abakus’s full Jujube Range here. The Hickory Nuts are exquisite nuts from the hickory tree, naturally dried in the sun and gently baked in the oven. The hickory trees are delicate and only grow under selected climate conditions in North America and South East Asia. A tree takes over 10 years to mature and yields only about 2-5 KG of nut meat per year. These flavoursome nuts were rich, smoky, sweet and savoury all at the same time, satisfyingly crunchy and extremely moreish. These would be the perfect accompaniment to a cold beer or, as Abakus Foods suggest, an energy-boosting sports snack or sprinkled over ice cream. If you haven’t heard of Hickory nuts, this is because they haven’t been commercialised as yet as they are shelled by hand, which usually takes a long time. 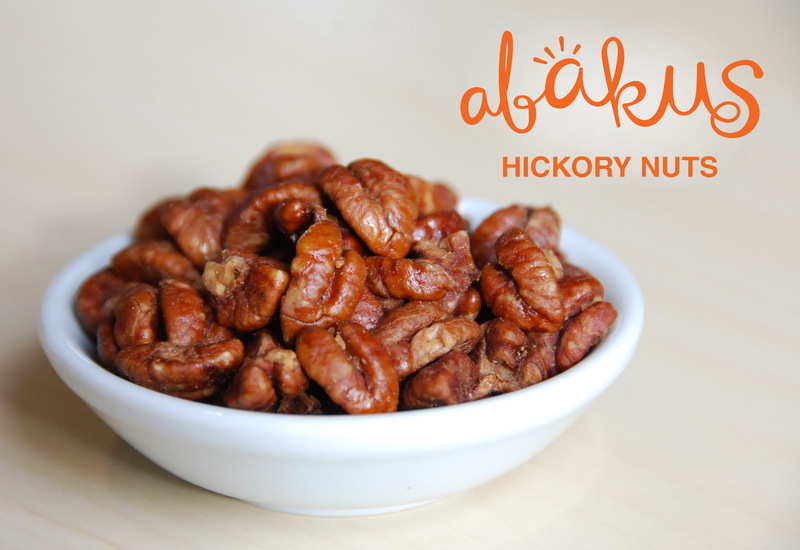 Abakus’s Hickory nuts are ethically sourced from a remote village in the South East of China where people have been shelling these for generations. “They are very skilled at it and are able to shell them very fast, which allows us to export them in larger quantities. At the same time, this activity helps the locals make a living without having to leave their beautiful village”, explains Abakus. 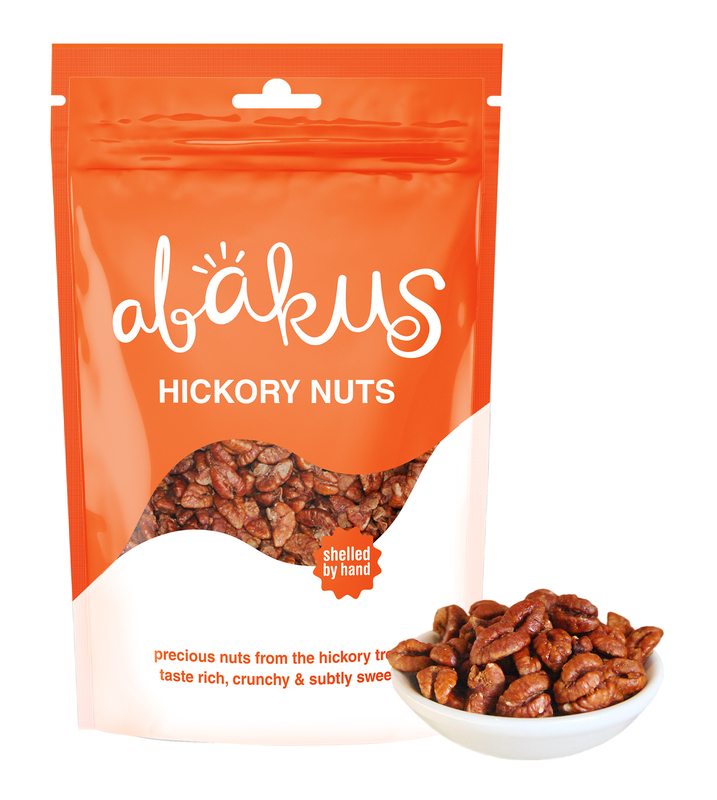 See Abakus’s full Hickory Nut Range here. 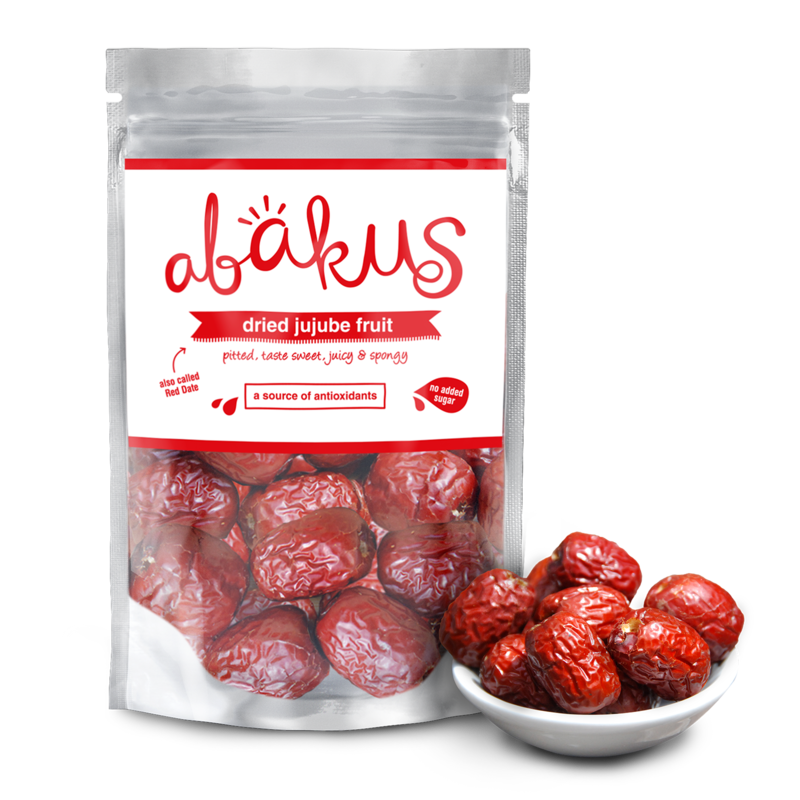 You can purchase the Jujube Fruit and Hickory Nut range directly from the website or find local and online stockists listed here.